The guys of Twenty One Pilots are out with a new album today (Oct. 5), “Trench,” which features the band’s latest single, “My Blood,” and a bevy of other upbeat tracks. “My Blood” currently No. 12 on the BDS Alternative Radio Chart, while the album’s earlier single, “Jumpsuit,” is still inside the chart’s top 30. 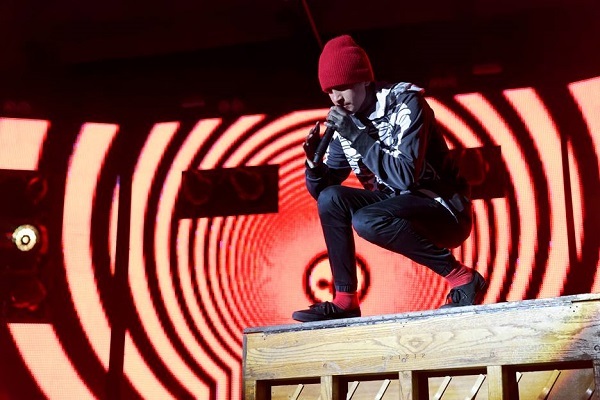 Twenty One Pilots are always known for tip-toeing the line between alternative rock and pop, and “Trench” is no exception. With a batch of eclectic, dynamic songs that range from modern pop to experimental alternative, “Trench” is an album that should appease both the alternative and top 40 charts. In addition to the new tunes, Twenty One Pilots have announced a 2019 U.S. tour. The arena trek will kick off May 31 in Grand Rapids, Michigan, and run through a hometown show in Columbus, Ohio, on June 29. Tickets for the newly-announced dates will be available via Ticketmaster’s Verified Fan program. For information, head to TwentyOnePilots.com. Ahead of the 2019 concerts, Twenty One Pilots will embark on the first leg of their U.S. Bandito tour starting with a show Oct. 16 in Nashville, Tennessee.